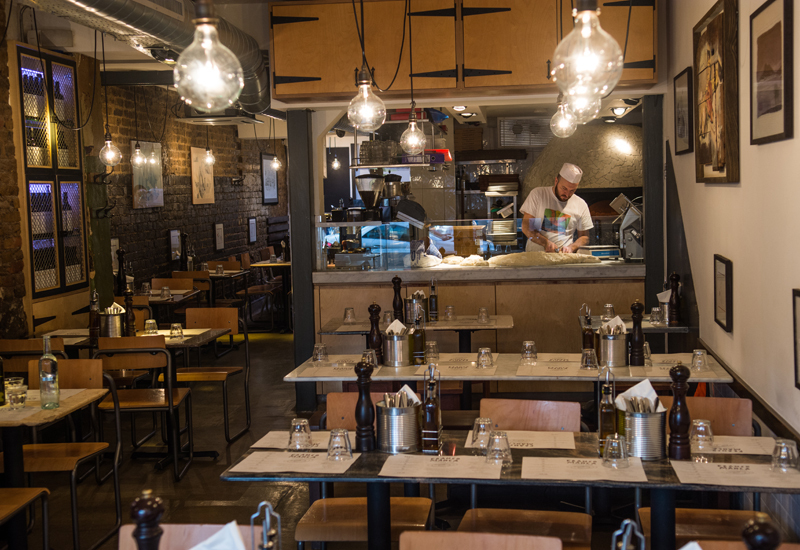 After being acquired by restaurant group Fulham Shore last year, Neapolitan sourdough pizza specialist Franco Manca has set its sights on growing its presence beyond London. 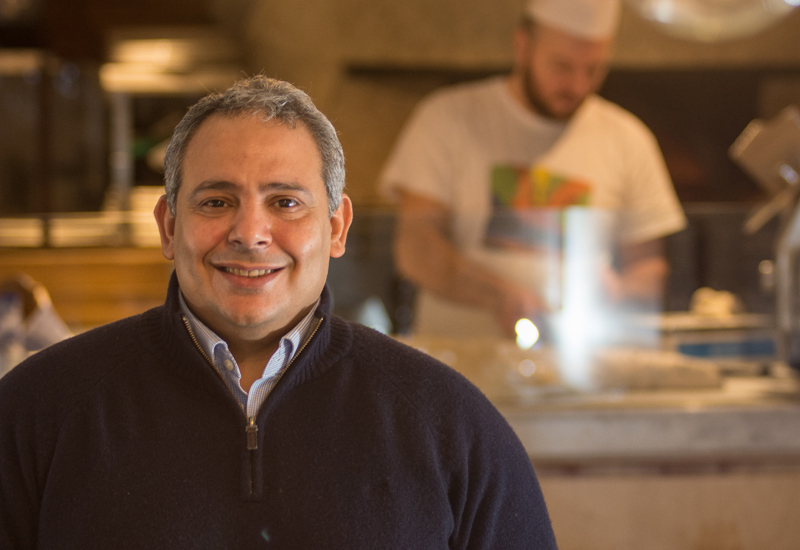 FEJ met with Fulham Shore’s managing director and a veteran of the casual dining market, Nabil Mankarious, to find out how its small footprint kitchens and shrewd business model are allowing it to go toe-to-toe with some of the biggest brands in the market. 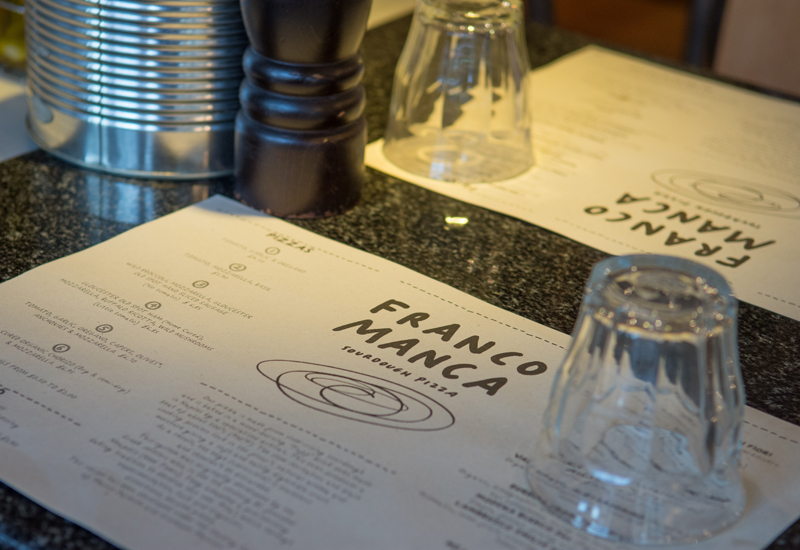 Franco Manca currently operates almost 20 restaurants. How many can you get to? I wouldn’t say there is a number that you could say is the limit. Franco Manca can operate from smaller spaces — from 1,000sqft on a ground floor, sometimes less — and therefore we can occupy places that a lot of other restaurant chains can’t. If you compare us on a pizzeria level, we are in the market competing for sites against Pizza Express, Zizzi, ASK. All of those guys require 2,500 to 3,500sqft. How are you able to operate from such a small footprint? It is because of the platform we have. 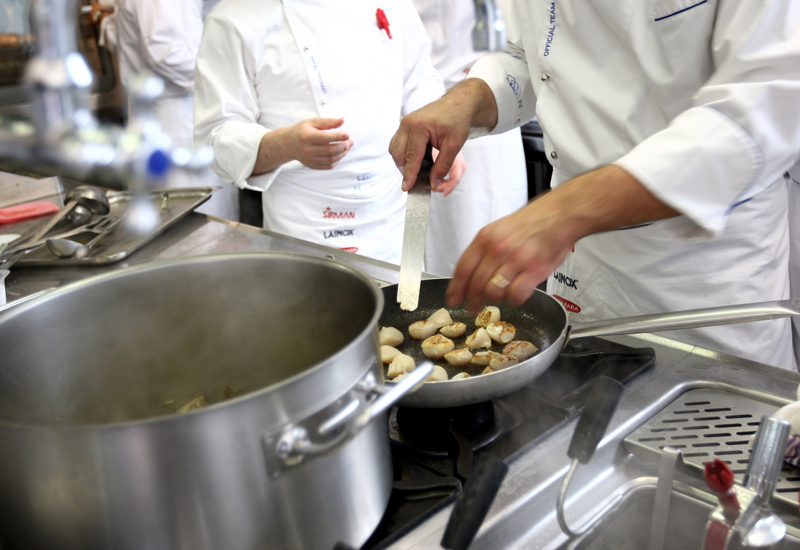 Our platform is one oven and everything is cooked fresh, so we don’t need a huge preparation area. As long as you have a place where you can put the mixer to make the dough and enough space for the oven then the rest is seating. We also offer a limited menu — consisting of six options — and a limited offer on the drinks. 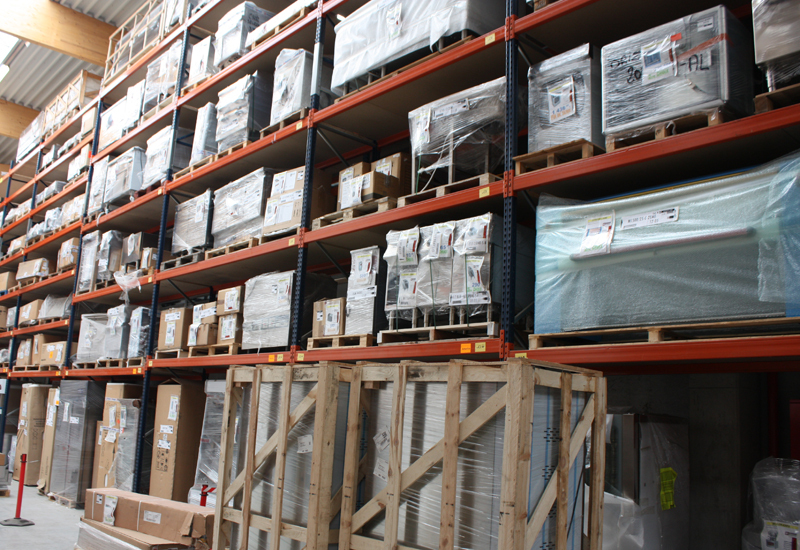 It is all consolidated to be able to operate from 1,000sqft and it makes it very expandable at the same time. This model must mean you can turn over covers very quickly. Is that an important aspect of the operational strategy? A customer probably only needs to be in Franca Manca for about 35 minutes. In the City, the last time I timed it, a customer walked in and out within 25 minutes. The pizza takes less than a minute to cook and if you want to enjoy pizza then you’ve got to eat it when it is nice and hot. Therefore you finish it within 10 or 15 minutes and we don’t offer much after that, just coffee or an ice cream. As I said, we have six pizzas and since 2010 the prices of those six pizzas haven’t changed. We are competing in the market and we know that we offer very good value for money — we offer fresh product, our mozzarella is made in Somerset, our tomatoes are organic and come from Napoli, and our flour also comes from Italy and is made from 100% Italian grains, which is very important to our pizzas. You have just secured your first sites outside of London, in Brighton, Guildford and Southampton. Are you only going to focus on the south? No, we are looking at Bristol and we are looking at Bath, for example. We are going to expand where we can reach and where we know we can manage it. We are not in a rush. We will open when it is right for us. 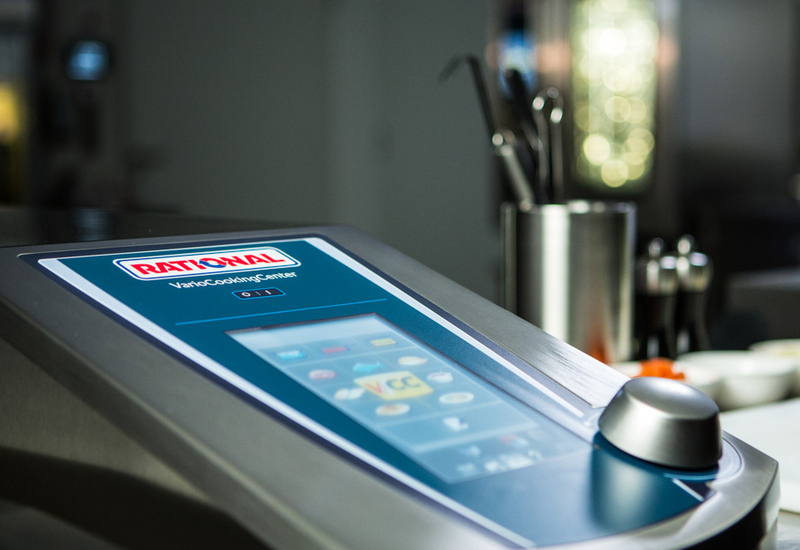 We will only open when we can manage the business extremely well and where we believe there is a high demand for a quality pizzeria at a very good price. How far ahead do you have to plan for new sites? All of the sites for the next financial year have been secured. When you want to open nine, 10 or 12 restaurants you need to start looking for those sites about a year and a half before. We are currently looking at 2017 sites, so you always have to be looking well in advance. Your domed brick ovens are very much the focal point of your back-of-house areas, especially as you operate such a small kitchen footprint. Tell us about those. Yes, if we can’t fit the oven in then obviously the site is a no-go. We need to have a certain dimension on the width of the restaurant to be able to accommodate the oven and once that is there we work around it. David Page, my partner in the business, does the design and the look and feel of the restaurant, and he has done more than 200 restaurants in the past. He walks in and sees a space differently than anybody else can see it. The oven is a seriously large piece of equipment. You must have faced some challenges getting it into some sites? The oven is Italian and comes from Napoli. Sometimes we bring in a new oven that is fully built from them and sometimes they come here and build it. For example, Soho is in a basement, a lower floor, and therefore we couldn’t have taken the oven downstairs, so they came in and built it. It was the same with Covent Garden, where there are six or seven steps. This is an oven that weighs three-and-a-half tonnes! The oven is clearly the heartbeat of the operation. Do you ever have any issues with it — what happens if it goes down? It does have issues like anything else you buy, but we know how to deal with it. The guy we buy our oven from is in England but his family works in Italy, so he comes in here if there are any small things that need repairing. We are looking at a second solution in London that matches what we currently do so that we have two suppliers in future. 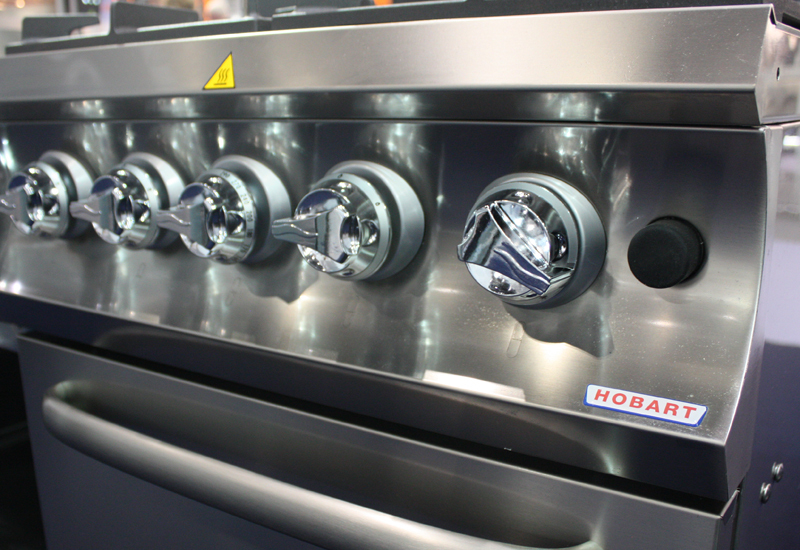 It would be the same oven and the same way of cooking, but two suppliers. If we are going to start opening a lot of restaurants, the guys from Italy might not be able to support us all the way. How many hours is the oven running for each day? The set-up starts from 10 in the morning and it runs until 11 at night. It is on for about 13 or 14 hours a day, so it gets worked really hard. We start the fire from the beginning and it takes two hours until it reaches temperature. The maximum we have ever done from one oven was during the London Olympics when our site in Stratford was producing 2,000 pizzas a day. Do you spend much time looking at new equipment to potentially roll out across your estate? We are always on the look-out. 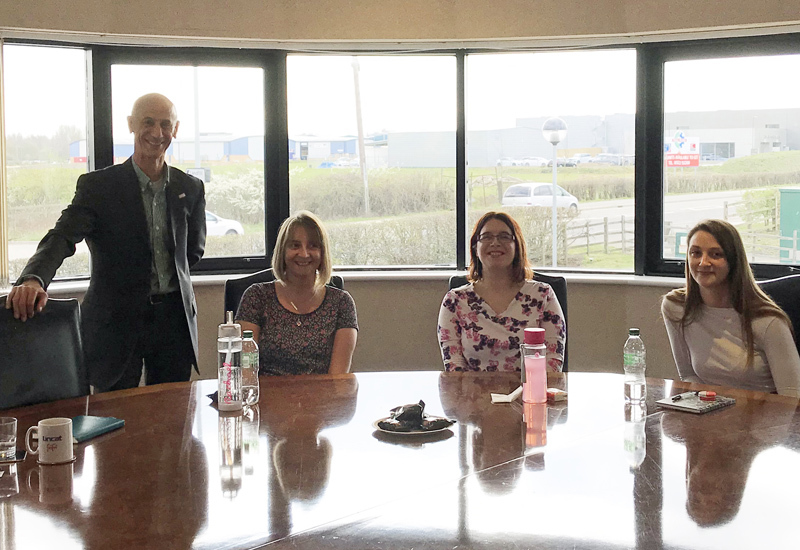 But it is very essential for us to sustain the quality, so we need to make sure that whatever we are going to bring in has to be trialled for a period of time before we put it into the restaurants. If you look at our dough mixers, they are manufactured for us and we have to order them well in advance. We mix the dough in a certain way to achieve the outcome that we do. Finally, extraction must be a key part of any site build given the heat and fumes from the kitchen. How do you manage that? We work with Chapman Ventilation. A lot of people think Chapman are very expensive — they are expensive because they provide you with things that nobody else can, so you pay for what you get. We have tried a number of times to depart from them, but we end up going back! The ventilation is not only about the ovens — you need to have a way of managing the heat out as well, otherwise it would not be comfortable to sit in the restaurants in the middle of the summer. Chapman engineers air-in and air-out to the demand of what we want and there is no time that you call them that they won’t come in. Last time I had a problem, it was about 10pm and they were here before midnight. 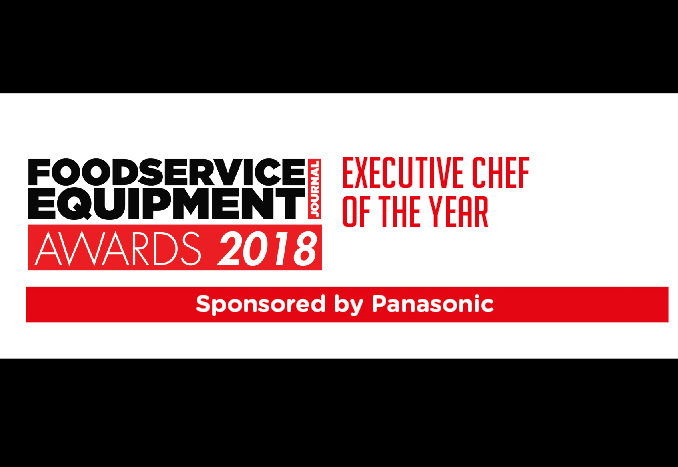 We have built a very good relationship with them through the years because we worked with those guys at Pizza Express and Gourmet Burger Kitchen. 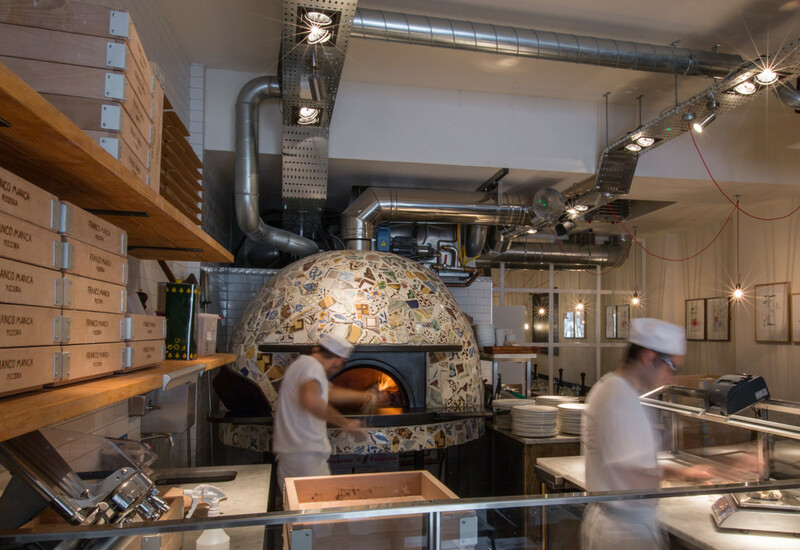 Franco Manca’s pizza is made from slow-rising sour dough and is baked in a 500°C wood-burning ‘Tufae’ brick oven made in Naples. The slow levitation and blast cooking process lock in the flour’s natural aroma and moisture giving a soft and easily digestible crust. As a result, the edge (cornicione) is excellent and shouldn’t be discarded, according to Franco Manca. This system was originally developed by Greek settlers who, in the 5th century BC, founded Neapolis. They adapted a pre-existing baking tradition to develop this new ‘Pita’, which through experimentation, luck and linguistic distortions, became pizza. 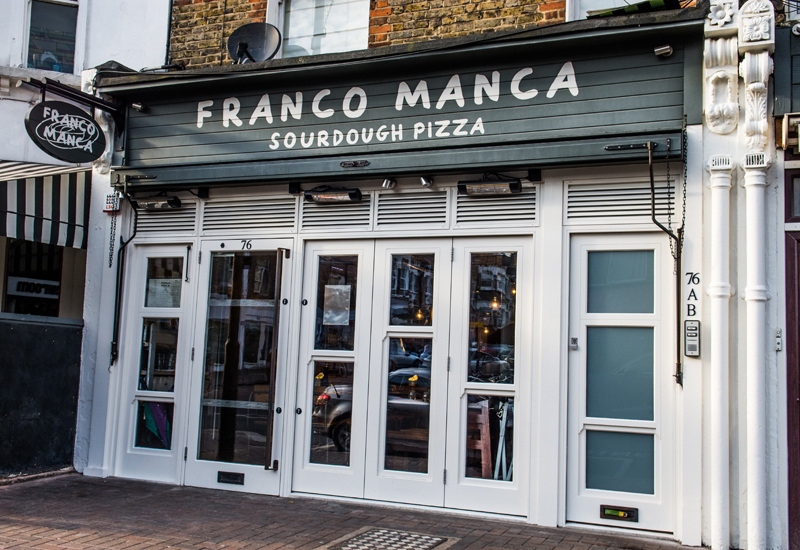 The specification of reliable and innovative refrigeration equipment has played a major part in the development of a kitchen operation that Franco Manca can replicate across multiple sites. 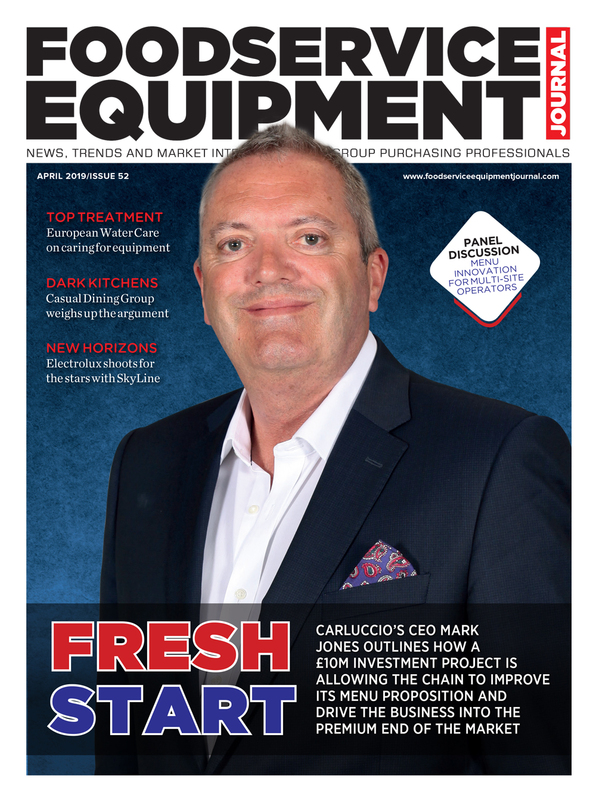 The pizza chain’s MD, Nabil Mankarious, acknowledges that the work it has carried out with refrigeration supplier Precision has been a key element of its back-of-house set-up, particularly given the pressures it has to withstand. Following issues with pizza dough becoming over-heated, Precision also worked with Franco Manca to develop a bespoke dough retarder cabinet. The unit is extra deep to accommodate the restaurant’s oversized dough buckets and is capable of holding the dough at a steady 18°C due to a special airflow design that ensures the temperature is even throughout. Nabil Mankarious came to the UK fom Alexandria, Egypt in 1986 to study medicine. 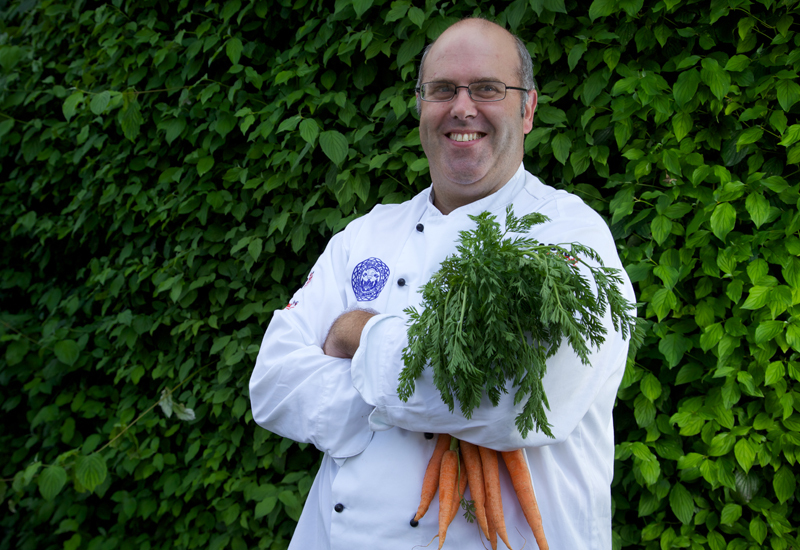 While a student he started work in the kitchen of a Pizza Express restaurant and rose through the ranks to become regional director for Pizza Express London in 2001. 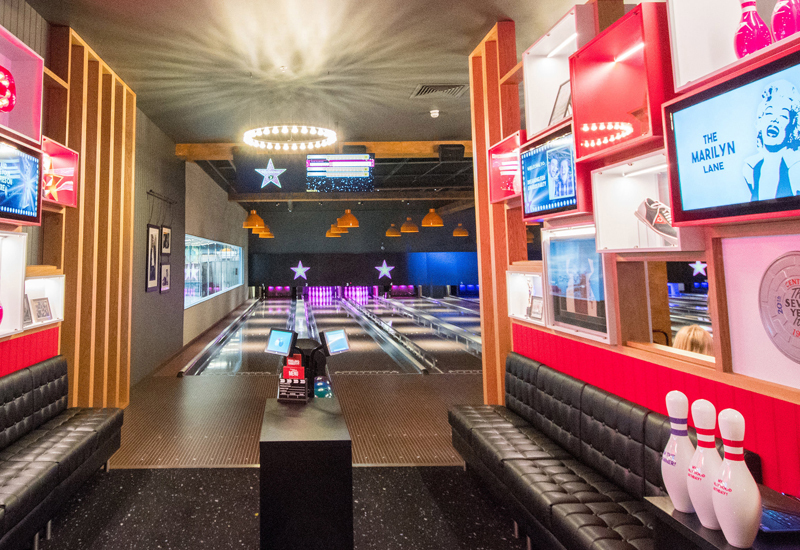 From 2006 until 2011, Nabil was head of group purchasing at The Clapham House Group and head of operations at Gourmet Burger Kitchen, its largest subsidiary. Today he serves as managing director of Fulham Shore, which owns Franco Manca and The Real Greek. Fulham Shore’s objective is to build a number of small, local brands based on restaurant concepts where average consumer spend is between £8 and £16 per head.